President Donald Trump’s supporters celebrated the conclusion of special counsel Robert Mueller’s Russia investigation on Friday evening, claiming the president has been vindicated. They argued that the news that Mueller won’t pursue any additional indictments means that Trump has been cleared of all accusations that he or his campaign colluded with Russia to swing the 2016 election. Andrew Surabian, Don Jr.’s political adviser and a GOP strategist, expanded on that reaction. “The #CollusionTruthers in the Dem Party and their friends on @CNN/@MSNBC don’t seem very happy today, I wonder why?” Surabian tweeted. Mueller spent nearly two years investigating Russia’s interference in the 2016 US election, whether President Donald Trump’s campaign colluded with Moscow, and whether Trump sought to obstruct justice when he fired FBI Director James Comey. The FBI launched the Russia probe in the summer of 2016, and Mueller began overseeing it after Comey’s ouster. Other conservatives used the opportunity to slam Democrats and the media, arguing that the probe was a witch hunt, as the president has long maintained. The release of Barr’s summary of Mueller’s findings does not necessarily signify the end of the Russia investigation. There are a plethora of court cases, cooperation agreements, and potential future indictments that could drop well after Barr submits his report to Congress. The longtime GOP strategist Roger Stone was indicted on seven felony counts of obstruction, false statements, and witness tampering last month. He pleaded not guilty to all counts and intends to go to trial. He has also not ruled out cooperating with prosecutors against other individuals— but not Trump — ensnared in the Russia probe. Former Trump campaign deputy campaign chairman Rick Gates is still cooperating with multiple investigations. Trump’s former lawyer, Michael Cohen, is still cooperating with multiple investigations. The Manhattan US attorney’s office is probing Trump’s involvement in several hush-money payments during the election to women who say they had affairs with him. Cohen, Trump’s former bookkeeper, and several Trump Organization executives are cooperating with the ongoing investigation. New York federal prosecutors subpoenaed the Trump inaugural committee for documents related to its finances. The committee has long been under scrutiny from investigators examining whether foreign governments — like Russia, the UAE, and others — illegally funneled money into the operation to influence White House policy. 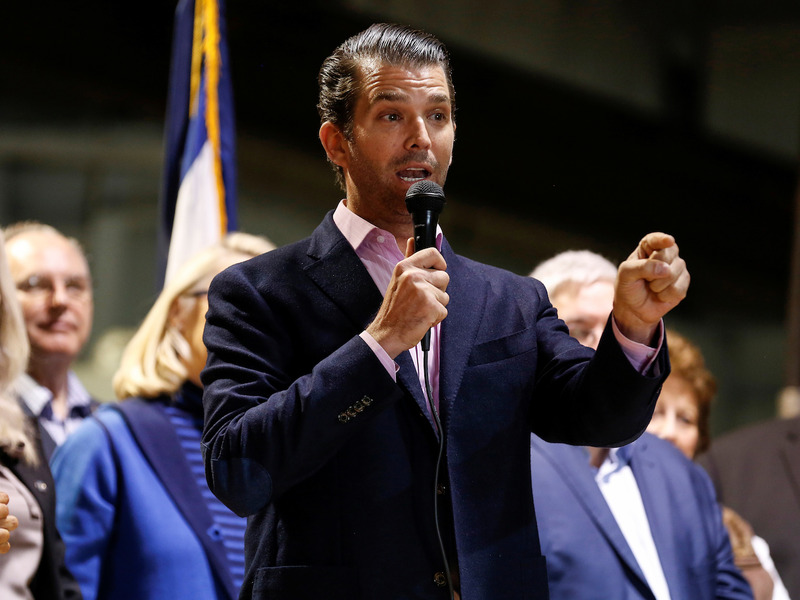 The House Intelligence Committee recently sent over the transcripts of testimony from several individuals lawmakers believe may have lied to Congress, including Donald Trump Jr., the Trump associate Erik Prince, and others. Prosecutors are also in a court fight with Andrew Miller, a Stone associate, who’s fighting a separate grand-jury subpoena to provide witness testimony. In January, Mueller’s federal grand jury was extended for six months, so it could continue to meet and vote on criminal indictments brought by other parts of the Department of Justice. The US attorney’s office in Washington, DC, has stepped up on assisting Mueller’s team with casework which will continue even after the release of a report. Some of those cases reportedly include Stone’s, one involving a Russian social-media conspiracy, and the court battle with the unidentified foreign corporation.